Britain’s second city too often plays second fiddle to its celebrated siblings around the UK. But for tasty food and drink, great shopping options, lively nightlife and plenty of cultural things to do, it’s an ideal weekend break, says Chris Osburn. 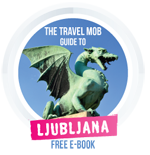 More canals than Venice, more trees than Paris and more Bullrings than anywhere north of Barcelona, is the standard and elevated guidebook pitch for the UK’s second largest city, but one that works more on technicalities than truths (see our Hipster’s Guide below). The reality is that Birmingham is a post industrial city that is rarely beautiful, and moreover one that lacks a world-famous cultural icon… but if you’re not the superficial type, and are ready to delve deeper, you’ll find a glut of great things to see and do in the Midlands capital. The city centre was reinvigorated by the sparkling new version of its long-standing Bullring shopping centre in the early 2000s, a 21st century temple to retail and leisure which dominates the centre of town; whilst in contrast the Jewellery Quarter provides a pocket of red-bricked prettiness that’s fun to explore at a slower pace. Meanwhile three major universities (Birmingham, Aston and UCL) mean the city is constantly awash with bright young things, either thinking or drinking, or both, at any given time, lending a brash excitement to everyday life in Brum. Birmingham’s cultural importance to the UK has often been understated, especially musically as it was here that Black Sabbath gave birth to heavy metal, and Duran Duran championed the New Romantics scene in the early 80s at the legendary Rum Runner Club. In the 2000s Mike Skinner of The Streets changed UK rap forever when he lyricised everyday British life in his Midlands accent. Put some of these on Spotify and, after your choice of museum, wander canalside to Brindley Place for a beer, before rounding off your day with the city’s signature, and unbeatable, curry dish – the balti (extra poppadoms please!). You’ll soon be drumming in time with the Brummie beat. It’s hard to move around ‘downtown’ Birmingham without having to head inside the Bullring & Grand Central shopping complex. This is especially true given the city’s main rail station, New Street Station, is a key fixture. But as big as it is, this sprawling mega-mall also acts as a super convenient hub and a very pleasant place to pass through. Well appointed with close to 200 retailers – including a 250,000 square feet John Lewis store and similarly huge Selfridges – the complex is augmented with dozens of eateries for just about every budget or taste. More on the top eats therein to be mentioned later in this piece. Because it’s central… and it’s grand. You could probably spend all day in the Bullring, but it’s time to pass over to the aforementioned Jewellery Quarter, where boutiques and boozers abound, as well as a superb French cajun and creole bistro called The Church if you need refreshment. 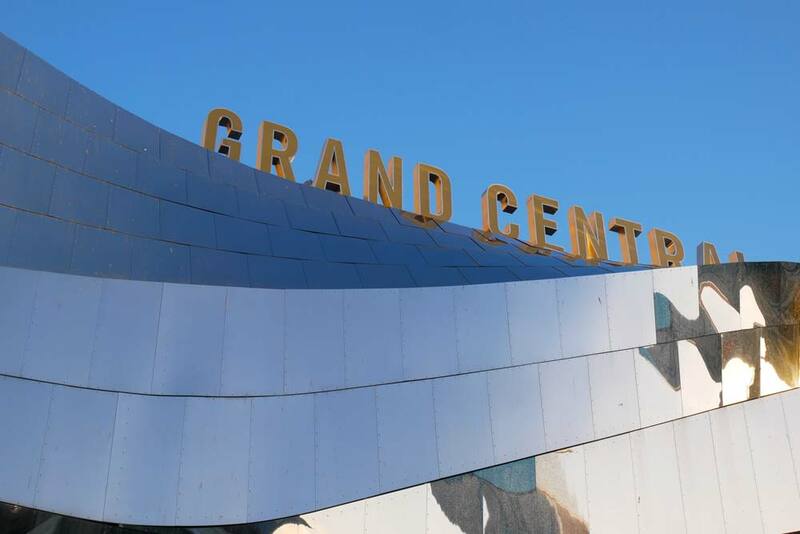 Other big hitters in town include the Symphony Hall, the National Sea Life Centre, the architecturally-lauded Library of Birmingham and Arena Birmingham. 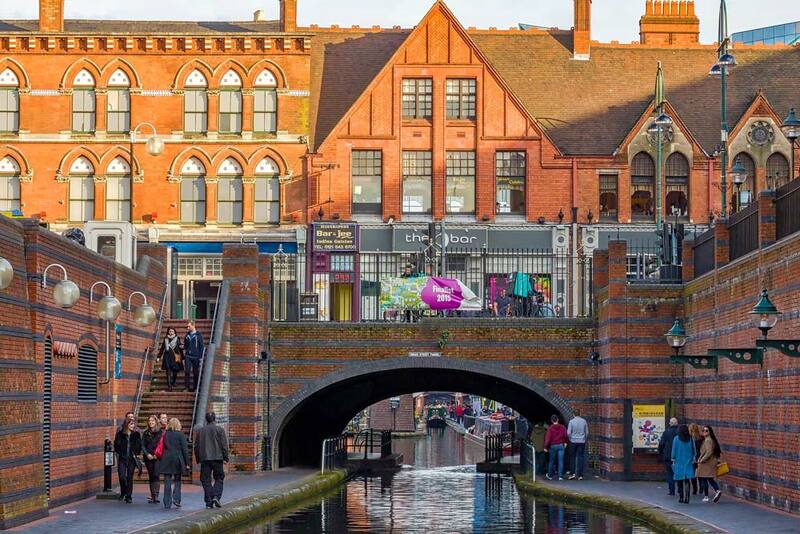 As you are bound to read while researching any visit to Birmingham: the city boasts more canals than Venice. In reality, Birmingham doesn’t have more canals in actual number (11 in Brum verses 177 in Venice) but beats the Italian city in length of canals, with 35 miles worth in the Midlands compared to only 26 in La Serenissima. Determine for yourself as to which is the more desirable city for your preferred canalside capers, but when in Brum be sure to include a roam around its iconic waterways for at least some of your free time fun. 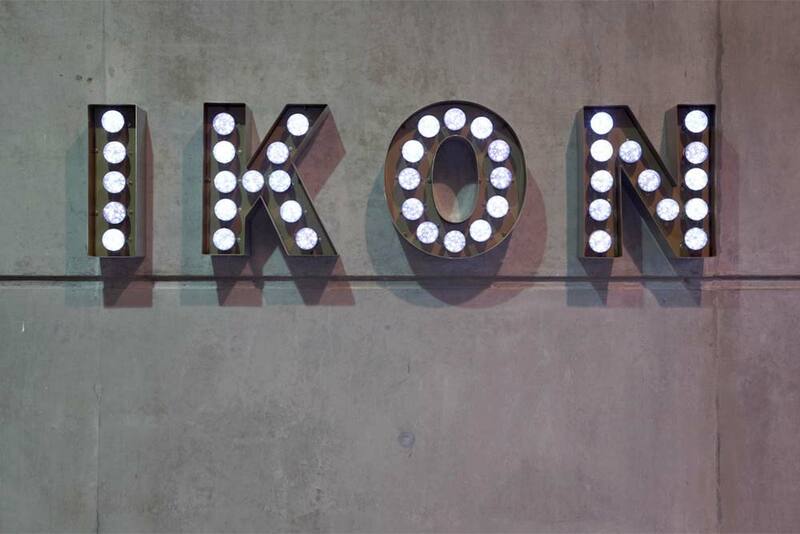 Free art courtesy of Ikon (Photo by Ikon Gallery). For an especially artful canal experience, take a peek inside Ikon Gallery. At Oozells Square just off the Old Line Canal and the Birmingham City Centre Path, it’s one of the UK’s best free-entry public spaces for viewing art and the leading contemporary art gallery in the Midlands. Even taking the lift at Ikon is an experience unlike any other. Doubling as an art installation designed by Turner Prize winning artist Martin Creed, it sings to occupants while ascending and descending the gallery’s floors. Ikon has the city’s only independent arts bookshop as well as a tasty little café that’s ideal for contemplating Ikon’s eclectic exhibitions or anything else that might cross your mind. For more arty doings, the nearby Birmingham Museum & Art Gallery offers all sorts of viewing pleasure, particularly for fans of Pre-Raphaelites paintings, with arguably the world’s most significant collection of works by Dante Gabriel Rossetti, William Holman Hunt, John Everett Millais, and other prominent artist of the genre. Entry is free though there may be a charge for some special exhibitions and events. 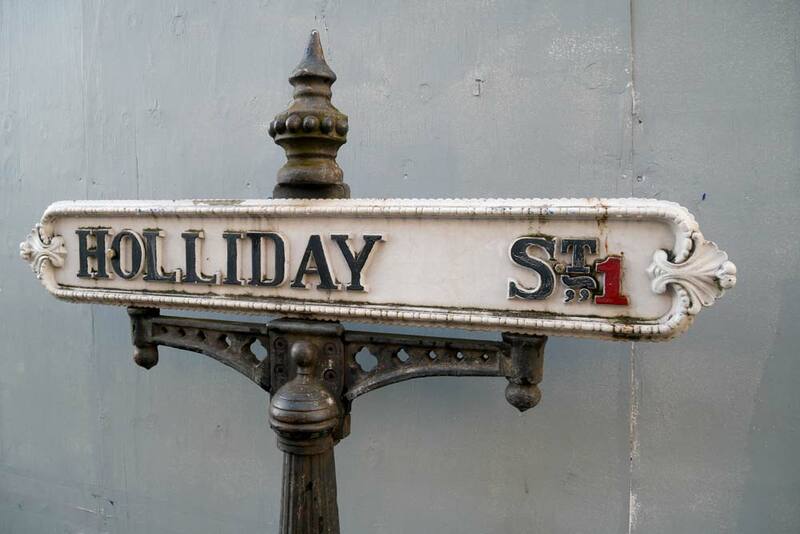 Meanwhile Birmingham’s original hipster hangout, the Custard Factory has several pop up and boutique stores to visit and hosts plenty of cool events throughout the year, such as cheese and gin-tasting festivals. The Birmingham events calendar provides plenty of ace reasons to plot a course to the city almost any time of the year. But if you really want to live it up in grand Brummie style keep these two especially festive events in mind: Pride in May and the Weekender in the September. Birmingham Pride is the biggest two-day pride festival in the UK and takes place over the spring bank holiday weekend. 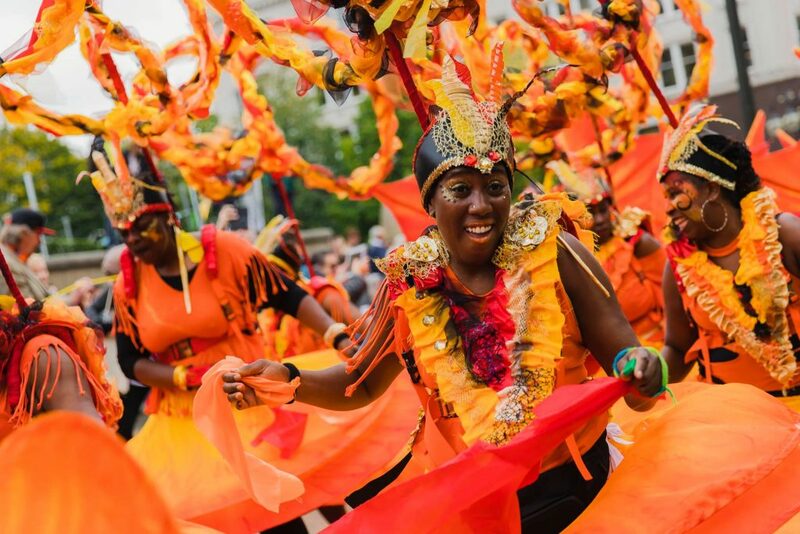 Birmingham Weekender is the city’s annual late summer/early autumn arts festival with free performances and public art viewings throughout town, with strong emphasis equally place on local talent and global trends. A luxurious stay during any weekend break in Birmingham can be had at the Clayton Hotel Birmingham. 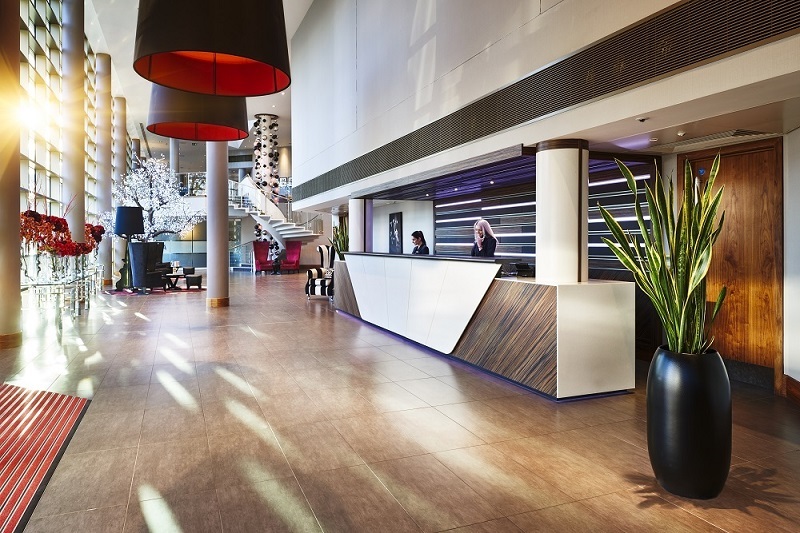 A short stroll from New Street Station and mere steps from quaint Moore Street Station, rooms and suites at this upscale and modern four-star hotel are spacious and plush. Service is as prompt and personable as you might expect at even the most exclusive of accommodations. The hotel’s Grill restaurant does an extra hearty breakfast and cooks up one of the better burgers in town. Those on a backpacker’s budget might prefer to check in at Hatters Hostel. A stylish and modern hostel, it is situated in the very silversmiths where the original FA Cup was made in the Jewellery Quarter. For more hotel and accommodation options check Booking.com. Birmingham is renowned for being the home of the balti and some of the most beloved curry houses in Britain. For absolutely amazing South Asian cuisine with flavours ‘true to India’ a meal at Lasan is a must. This Jewellery Quarter mainstay (made famous by a televised visit by an approving Gordon Ramsay) rivals fine dining establishments featuring much heftier prices. 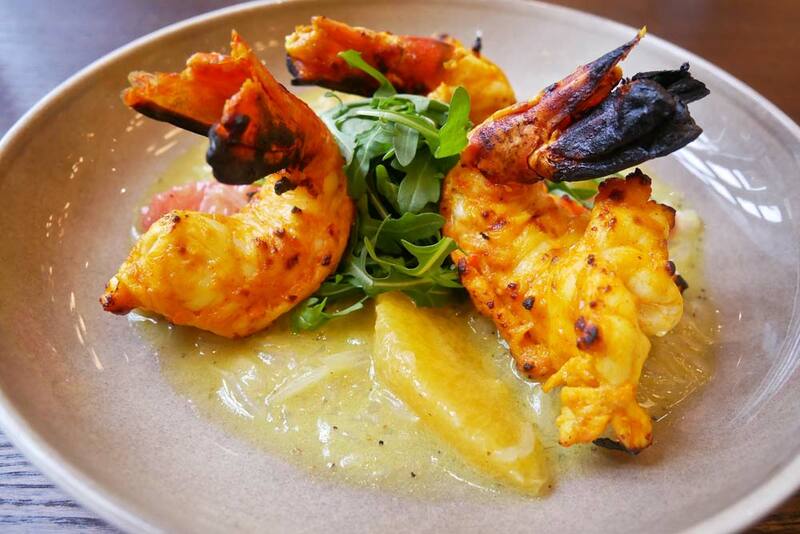 Consider the Sarson Ka Jhinga (freshwater tandoori king prawns marinated in mustard, turmeric and lemon and served with a grapefruit and orange sirka) for your first course and the Paya Raas (slow-braised mutton gently simmered in bone marrow stock with browned onion and spiced with whole garam masala) for your main with a side of Yakhni Pilau (basmati rice cooked in a fragrant lamb broth with mace and cardamom). For curry cravings of a more rustic variety, you’ll need to go to South Birmingham’s Balti Triangle where a preponderance of balti houses await intrepid foodies. Among the most celebrated are Shababs Balti Restaurant (go for the sheekh kababs or the chicken and spinach balti) and Al Frash for exceptionally fiery dishes. Beyond the baltis, there’s a wealth of places to eat for whatever mood you might be in. The Bullring & Grand Central is a smart choice for fruitful foraging. One tasty option is to tuck into the excellent Spanish fare at Chef Omar Allibhoy’s Tapas Revolution. From a plate of jamon Iberico and classic pan con tomate to croquetas and cider roasted chorizo, it’s authentic and affordable for sharing dishes with friends over casual drinks. New Street Station is the regional hub for National Rail. Trains via London Euston and most other major cities arrive here. Travel time for trains coming from London is around an hour and a half, and slightly longer for trains from Manchester. Moor Street and Snow Hill stations service routes from London Marylebone. More than 50 airlines, including most of the low cost carriers, fly to Birmingham Airport from over 100 destinations. The airport is only a few miles from the city centre and about 15 minutes by train from New Street Station. Visitbirmingham.com is a fantastic resource with heaps of advice and tips for making the most your trip to Birmingham. If you’ve never read anything by David Lodge, now is the time to start. His novel Changing Places sees two academics from Rummidge (Birmingham) and Plotinus (Berkeley, California) swap shoes in his entertaining campus romp. Meanwhile The Rotter’s Club is a lauded coming of age drama set in Birmingham by one of Britain’s best writer’s, Jonathan Coe. The televised version of the aforementioned Rotter’s Club by the BBC is well worth the effort to find and (il)legally download. Whilst the hit series Peaky Blinders hardly needs any introduction… and was also made by the BBC. Planning on visiting more of the UK’s top cities? 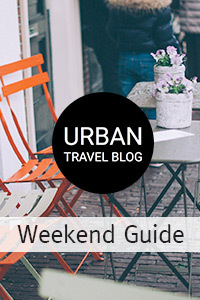 Check our our guide to weekend breaks in Bristol, our things to do in Newcastle, our York travel guide and our tips for visiting Brighton (including our alternative tips!). Chris Osburn is a freelance American writer and photographer based in London, and a regular contributor to Urban Travel Blog. His stories often bring to the fore his love of food and drink, whilst his photography has been exhibited around the world. More on Chris here.